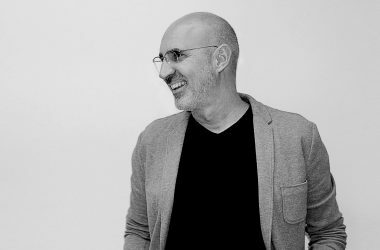 LEMAYMICHAUD wins 2 awards at this year's edition of the Prix d’excellence en architecture de l’Ordre des architectes du Québec. Gathering more than 105 projects, this annual event aims to reward and promote the highest quality of architectural projects. 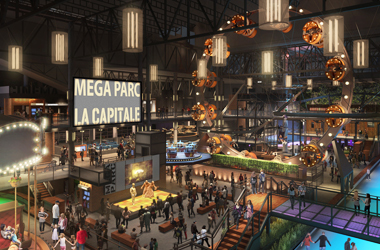 The People’s Choice was awarded to Strøm Spa Old Québec and Maison Simons of the Galeries de la Capitale won an award in the Innovation Mention category, two rewards that represent the know-how of our firm. 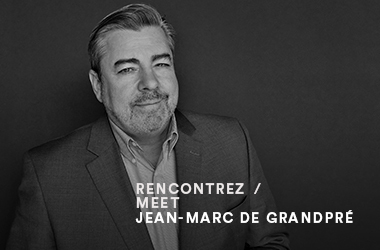 Our firm announces today the opening of an office in Gatineau. 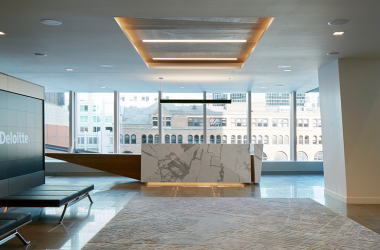 Being already established in Montreal and Quebec City, the addition of a new branch is meeting a strong demand for its services in the Ottawa area. 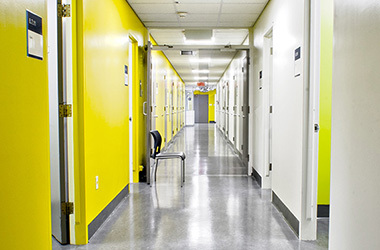 In operation since last October, the office is located at 75, Boulevard de la Technologie in Gatineau. 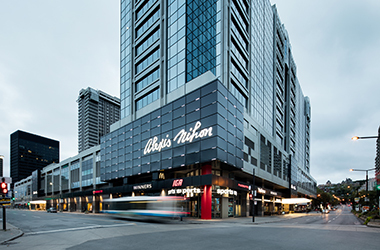 The project of La Maison Simons Galeries de la Capitale is honoured at the 12th edition of the Grands Prix du Design for sustainable development excellence. On Thursday, October 25th, two of our interior designers participated to a discussion on "The design of indoor spaces in the era focused on the well-being of the occupants". As experts, they were able to speak about new trends in interior design, and educate the audience on the new realities of their field of expertise. 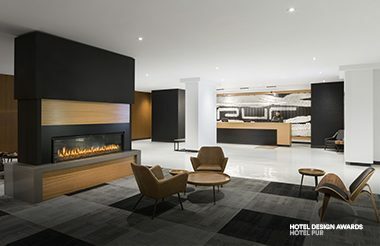 For the quality of design and concept, LEMAYMICHAUD has been rewarded for the Hotel Pur project, located in Quebec City, at the first edition of the “Hotel Design Awards” by Hotelier Magazine. 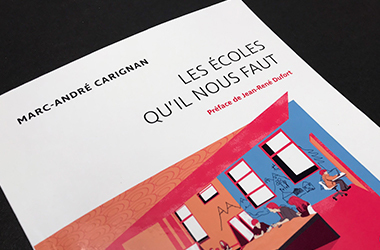 This week Marc-André Carignan, author and columnist for Kollectif and Radio-Canada, launched his book "Les écoles qu’il nous faut" (The schools we need). 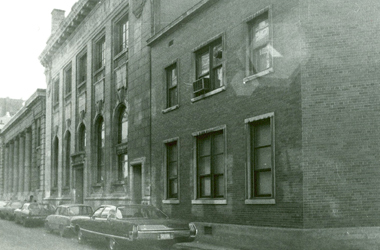 This essay gathers the opinion of many experts on the importance of developing schools and their infrastructures in Quebec. Jean-Marc de Grandpré, partner at LEMAYMICHAUD, was honored to be part of this book and share his view on the matter trhough is work on the "OSM: Children's Music" project. Iconic Awards 2018 – Innovative Architecture: LEMAYMICHAUD receives a special mention in the Interior category. The project "OSM - La musique aux enfants" was selected at the Iconic Awards 2018, in the Interior category. Grouping hundreds of projects from around the world, the Iconic Awards 2018 – Innovative Architecture highlight the best achievements in architecture and design. Organized by the German Design Council, this competition focuses on showcasing quality and innovative architecture and design. 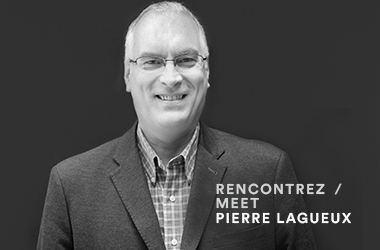 Meet Pierre Lagueux Partner Architect. 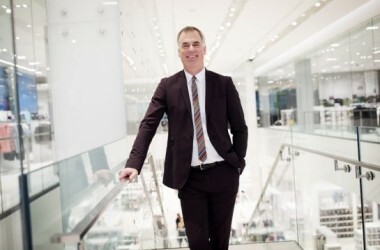 "Our interest in retail sales has turned us into stage directors." 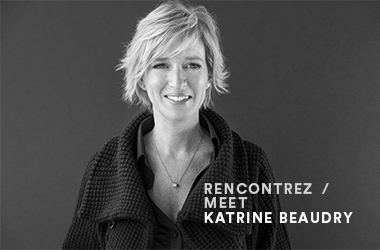 In this « Meet" interview, discover why it is necessary to energize interiors to propose extraordinary experiences. “You need to be curious by nature to be really into something. 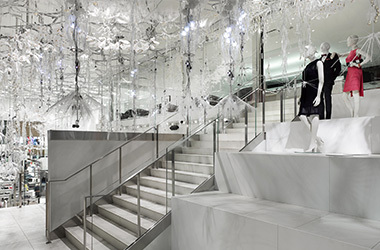 At LEMAYMICHAUD, we’re as interested in fashion, colour, lighting, and materials as we are in individuals. Leaving the latest trends aside, we try to understand how we can best reach out to others and how we can move and excite." 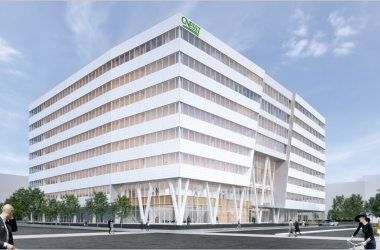 The construction of the new headquarters of the CNESST has now started. 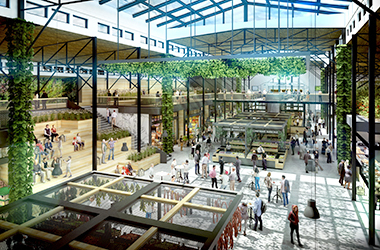 On May 26th, LEMAYMICHAUD was at the groundbreaking ceremony launching the construction site for the project of the new CNESST head office, to be part of the Estimauville Ecoquartier in Quebec City. Discover why collaboration and attention to detail allow the creation of beautiful and vibrant environments, that leave no one indifferent through this "Meet" interview. The scholarship for ‘Masters in Project Composition’ awarded Myriam Ross. 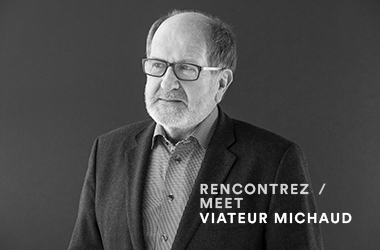 Each year, LEMAYMICHAUD awards a grant to a final-year student graduating with their Master’s Degree at Université Laval’s School of Architecture. The scholarship is given to the project standing out for its exceptional architectural composition. This year, Myriam Ross has been awarded. 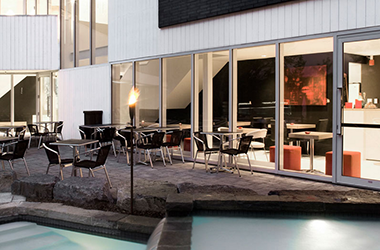 On April 2nd was held in Brossard the opening of the first Alt+ hotel, a new banner of Groupe Germain Hotels. 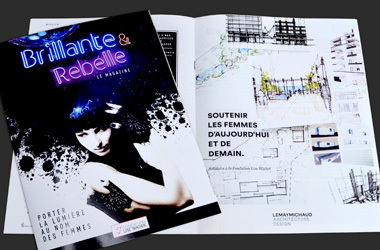 LEMAYMICHAUD is proud to have collaborated once again to the architectural and interior design of the building. 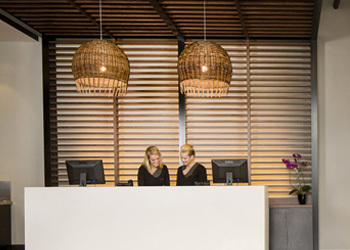 The new banner, which can be placed mid-way between the Alt and Le Germain hotels, distinguishes itself by the layout and equipment of its rooms aimed for longer stays targeted, amongst other, to a business clientele. 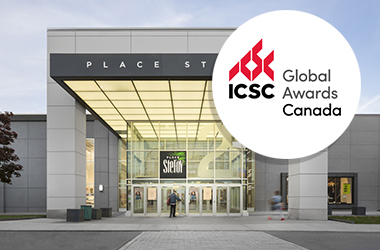 Place Ste-Foy’s redevelopment grabbed the International Canadian Shopping Center (ICSC) jury’s attention, program that honours the best shopping center projects in Canada. 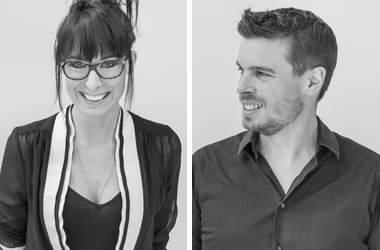 The architecture and design firm of LEMAYMICHAUD is proud to announce the appointments of Judi Farkas, Jérôme Henné, Marie-Christine Baillargeon and Pierre-Alexandre Davignon as new partners. 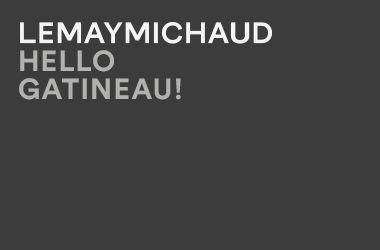 LEMAYMICHAUD Québec welcomes Katherine Turcotte and Nils Kröger to the team. 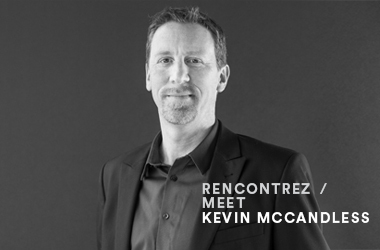 The architecture and design firm has recently hired two new employees to meet all the needs of our growing clientele. 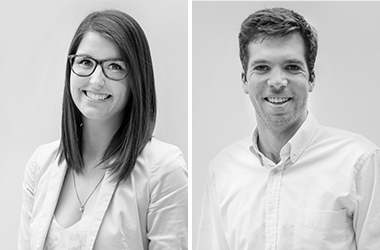 Katherine Turcotte, architectural technologist, and Nils Kröger, architect, have joined the team in Quebec. We’re always proud to see our projects shine. 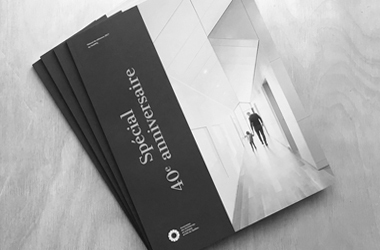 This year, the Strøm Spa Sherbrooke is featured in the Association des Architectes en pratique privée du Québec’s (AAPPQ) reference guide. 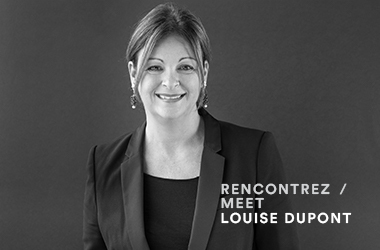 In Hotelier Magazine, our partner designer Louise Dupont discusses the importance of the hotel lobby’s design to make a good first impression. On Novembre 30th was held, in Montréal, the official launch of the programme « La musique aux enfants », a music prekindergarten and kindergarten at École St-Rémi Annexe, of the Commission scolaire de la Pointe-de-l'Île (CSPI) in the borough of Montréal-Nord. The launch was done in presence of Kent Nagano, the Orchestre symphonique de Montréal (OSM) and numerous partners, LEMAYMICHAUD amongst them. 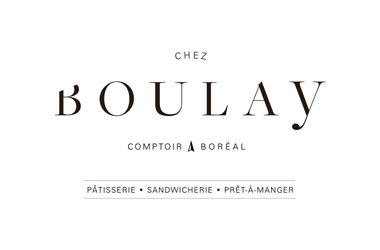 LEMAYMICHAUD is proud to be a part of the new project, Chez Boulay-comptoir boréal. 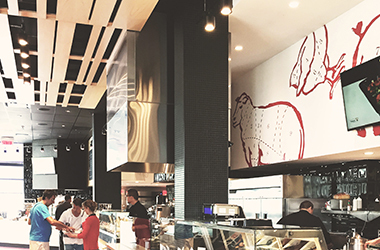 A new Boreal space, ready-to-eat, showcasing Quebec’s flavours. 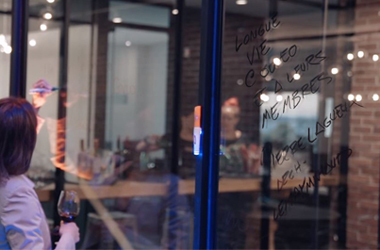 Arnaud Marchand, chef at the Chez Boulay-bistro boréal in Quebec, has partnered with his wife Sophie Marchand, director of communications, to come up with new ideas for the space where it will be possible to see the artisans working. On September 15th took place the 2nd edition of the CocktELLE Brillante et Rebelle evening, in Québec, in favor of the Lise Watier Foundation with Christiane Germain, Germain Group as the honorary president. 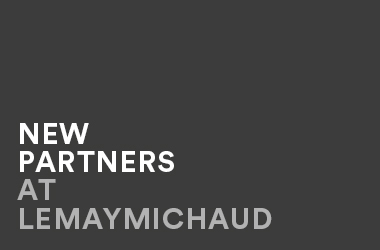 LEMAYMICHAUD was there as a platinum partner in order to emphasize its implication in the foundation which which favors women’s autonomy and supports young girls through diverse programs. 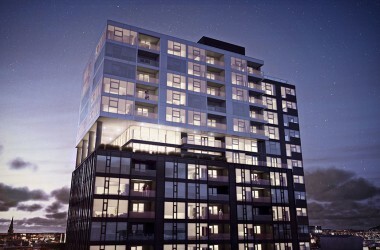 The No.1 River Landing condo project is dedicated as phase I of the large-scale mixed use development of River Landing Area in Saskatoon. 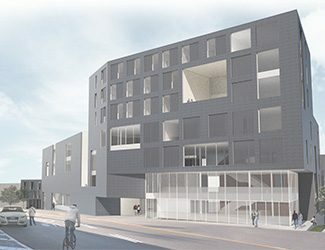 This upcoming neighborhood will create an important connection between downtown Saskatoon and the South Saskatchewan River. The project will also act as a milestone within the magnificent river landscape and MV trail systems. 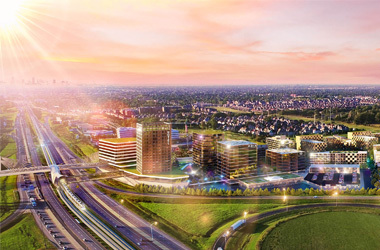 The development of the site will aim to become a key destination within the City, offering a range of complementary land use that will attract visitors and general public to River Landing. Provision of a residential tower will attract many locals to the site as well as visitors. 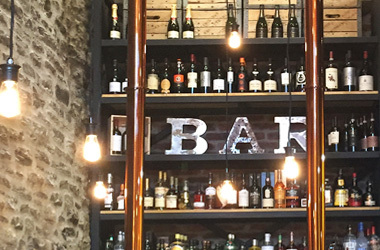 Congratulations to the Sapristi Bistro-Bar team for the opening of their second location situated in the Quartier Petit Champlain. Established in a magnificent old building with stone walls, LEMAYMICHAUD designed an industrial decor, on two floors, embellished with natural and recycled materials for a warm ambiance. 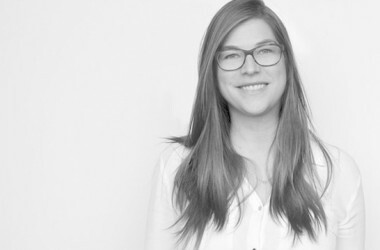 Each year, LEMAYMICHAUD awards a grant to a final-year student graduating with their Master’s Degree at Université Laval’s School of Architecture. 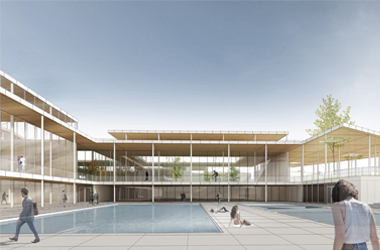 The scholarship is given to the project standing out for its exceptional architectural composition. This year’s recipient is Julien Landry. His project caught the eye through its coherent architecture, finess and excellent adaption to its function. Congratulations Julien and to all the final-year students on completion of your degree! 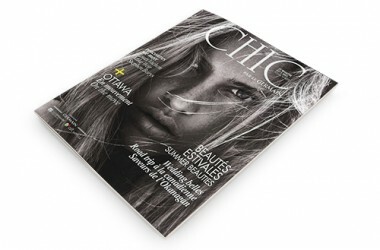 The latest issue of CHIC magazine by the Le GERMAIN highlights the ALT hotel Ottawa opening that was happening earlier this month. 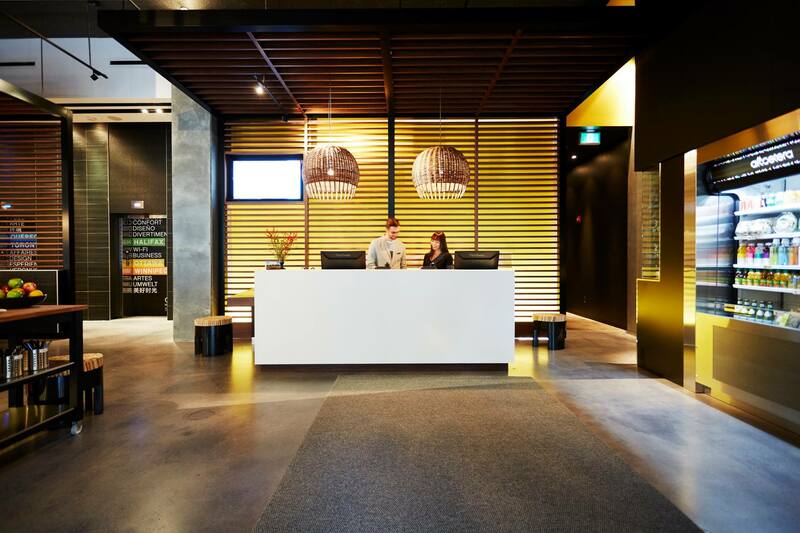 The hotel, described as a "new design ideal" already has some (very positive!) critics on Tripadvisor. 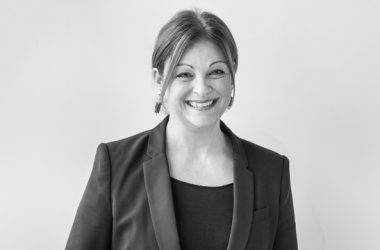 Pascale Jetté, architect at LEMAYMICHAUD Montréal's office, was awarded as the finalist of the MAQ Young Architecture Critics Competition last week. It is with great pride that we share with you the text that has earned her this honor. 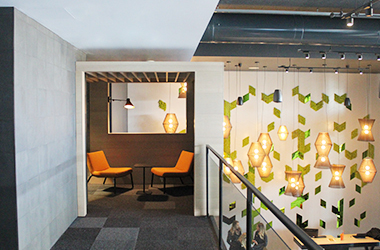 Deloitte Montreal offices promotes creativity, innovation and productivity. Now online in the PROJECTS section. A big thank you to our friends at figure3 for bringing this video to our attention. 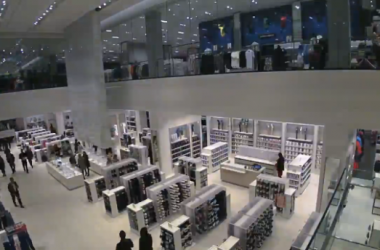 Here is the Simons Mississauga, being buillt from the ground up in an accelerated video recording. Awesome ! On the eve of the opening of the long awaited Simons Mississauga, the Toronto Star painted a highly positive picture of Quebec society. 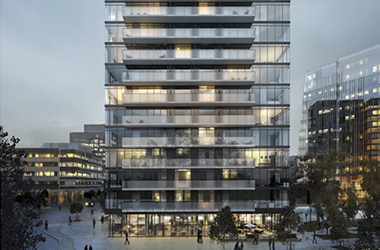 Finally unveiled : See FRESK, a residential and commercial tower in Quebec city designed by LEMAYMICHAUD. 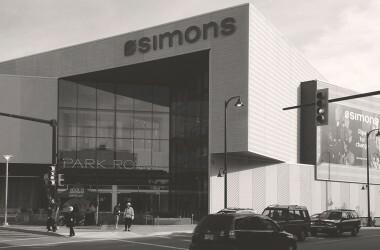 Simons Vancouver is now open ! LEMAYMICHAUD, Global, CTV, the Globe and Mail et so many others were at the grand opening last week. 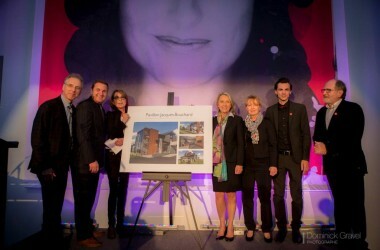 The house of palliative care developed by LEMAYMICHAUD for the Jacques-Bouchard foundation was unveiled at the 2015 benefit cocktail party. 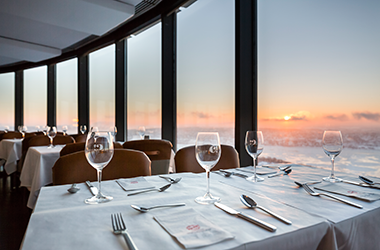 The Restos Plaisirs restaurant, which has been designed by LEMAYMICHAUD, is a finalist in the "Best new canadian restaurant 2015" of the Air Canada enRoute magazine contest. Vote for your favourite concept (CIEL!) for a chance to win a trip for two to the restaurant you chose as well as 500$ to spend. 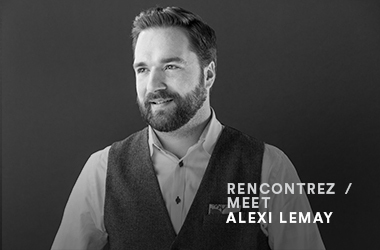 Alexi was at the La Maison Simons - Gatineau's opening today at promenades Gatineau. The store was full and it looked great ! When will your first visit be ? 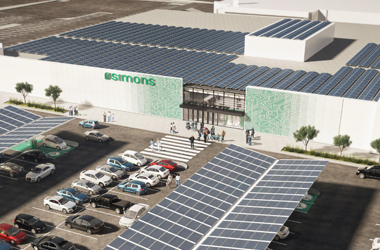 The new Simons store - Les Promenades Gatineau is opening on 13 August. Want a sneak peak? 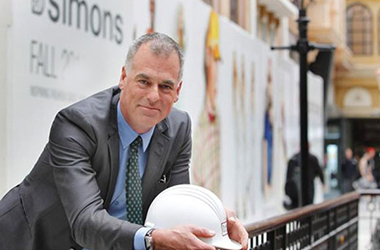 Visit the construction site with Peter Simons thanks to the ICI Radio-Canada team! Louise and Nathalie were at the official opening of the new Boucherie Magnan Wednesday. 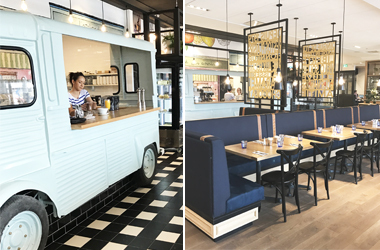 The shop, by LEMAYMICHAUD, is now open for business on d'Avaugour street in Boucherville! 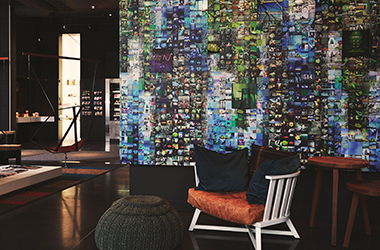 People’s choice : Vote La Maison Simons – Anjou ! 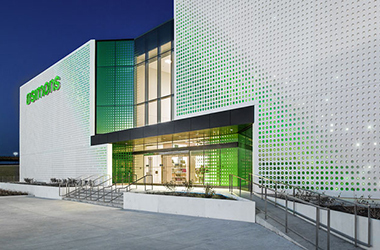 La Maison Simons - Anjou, laureate of the Commerce Design Montreal is now in the running for the People's choice award. Vote by August 31 for a chance to win! Strom Nordic Spa was SIDIM’s 2015 “Coup de Coeur” award! Strom Spa Nordique was awarded the "Coup de coeur" - Business District at the SIDIM 'happening design of the year'! 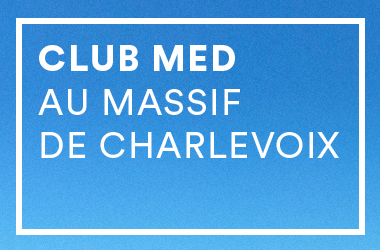 Make a donation - however small - to encourage Pierre Mierski and his team (# 42E) Alt Hotels / Cominar / LEMAYMICHAUD! 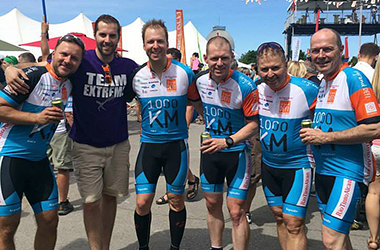 The team's goal is to raise $ 100,000, which will be entirely donated to disadvantaged schools. 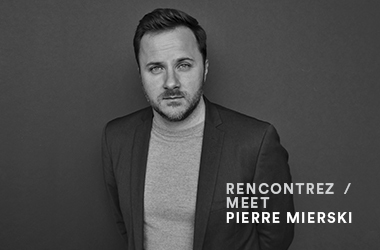 Pierre Mierski, associate architect at LEMAYMICHAUD, had the pleasure of visiting one of the sponsored schools. To thank him, the children prepared a zumba show. 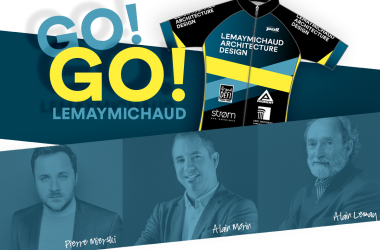 LEMAYMICHAUD thank you most sincerely for your support. 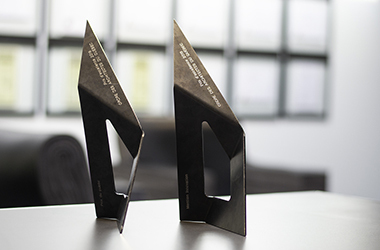 The year 2015 marks the 20th anniversary of the Commerce Design Montreal Award. 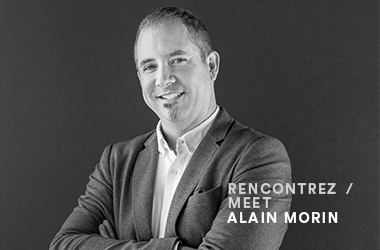 The original Montreal concept, created in 1995, reward merchants who have invested wisely in the development of their interior design with the help of professionals in design and architecture. 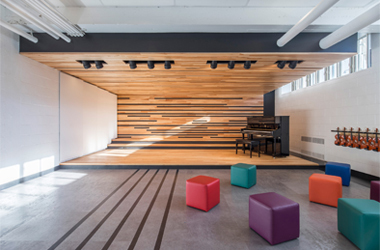 LEMAYMICHAUD is proud to have been a part of Women’s Centre of Montreal's classes redesign project along with Google. 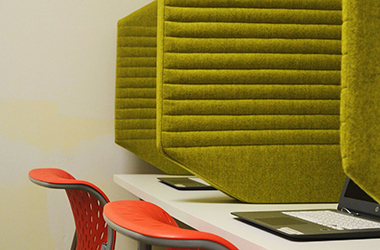 The goal was reached: the center now has a supportive environment for to teamwork and learning. A big thank you to all the volunteers and suppliers: Ébénisterie Renova, LineaP, Decoustics, Sico, Shaw and NumérArt. 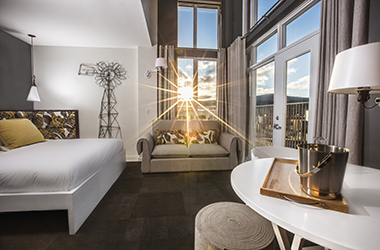 Two years after opening, La Ferme hotel still got it! 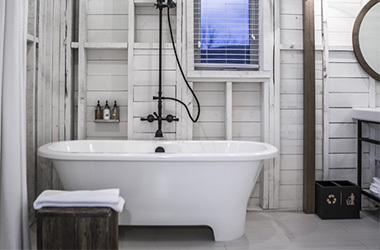 La Presse published the article " À La Ferme comme à la maison " about the La Ferme hotel and the artisans who participated to it's design. 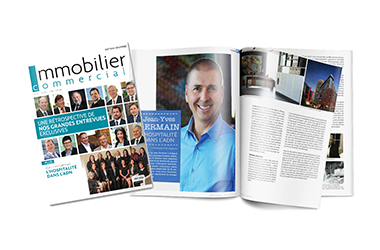 Immobilier Commercial recently published Jean-Yves Germain's profile. 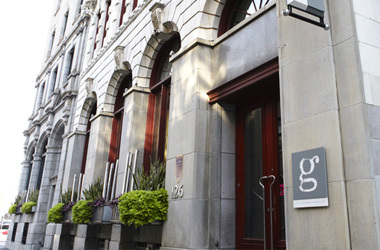 Le Groupe Germain has been our client for years and we are really proud to be part of their success. 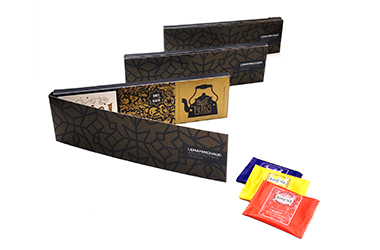 Read the article from Immobilier Commercial - Volume 8 | Number 1 | febuary - march 2015 : "Jean-Yves Germain - L'Hospitalité dans l'ADN"
Our custom holiday card included three Kusmi Tea bags. Special thanks to our artistic direction for this creative piece and congratulations to all participants. 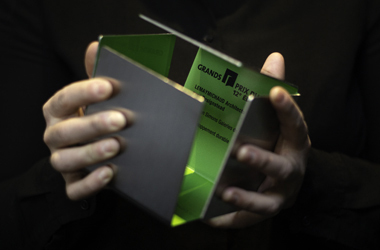 Grands Prix du Design 2014 finally revealed! 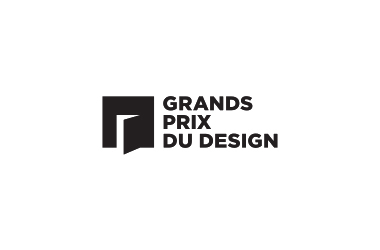 The 8th edition of les Grands Prix du Design 2014 was held Wednesday, January 28, 2015 at Maisonneuve Theatre, Place des Arts. 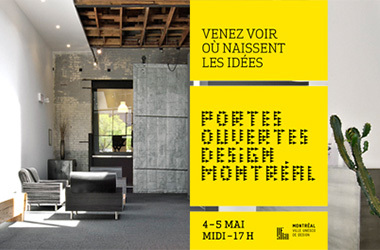 They highlighted the work of many interior designers and LMAD won an award in the HOTEL category for the Hotel Alt Montreal Griffintown project! 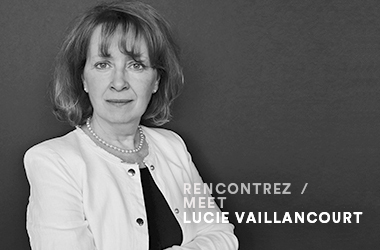 LEMAYMICHAUD develops many projects at the CHU Sainte-Justine. 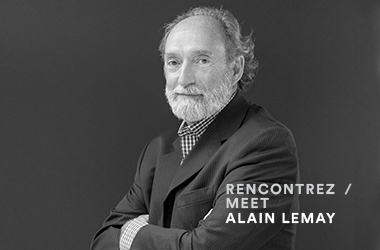 We are honored to be the collaborators of two award-winning hotels: Le Germain Dominion and the Auberge Saint-Antoine. 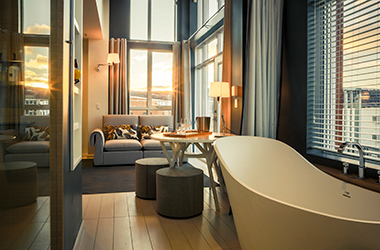 Open since March 17th, the Alt Hotel Montréal in the Griffintown district is an environmentally responsible project. 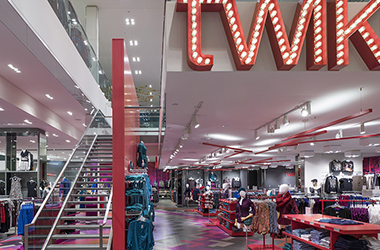 The Simons in the West Edmonton Mall named one of the top three retail stores in the world of 2013 at the EuroShop Retail Design Awards. 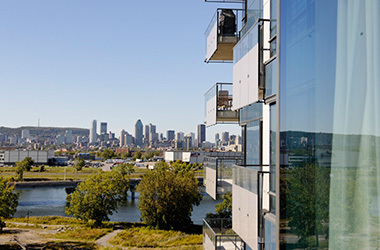 Our Évolo Inc. Condominiums project located on the Ile-des-Soeurs won the Domus of the year in the category 'Project and /or residential development of the year, MULTIFAMILY'. 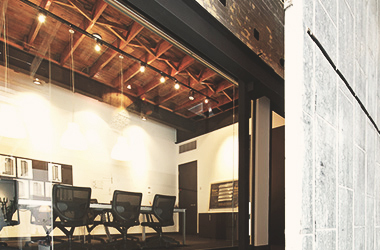 LEMAYMICHAUD offices were selected by the Canadian Interiors magazine to represent the interior design of the 2010s! 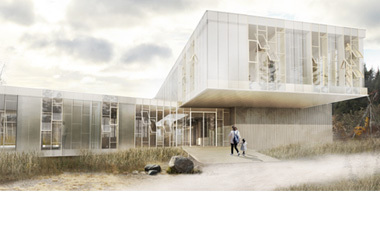 The award of the hotel design En Route of Air Canada 2013 awarded 3 prices for the Hotel La Ferme project, directed by LEMAYMICHAUD in consortium with St-Gelais Montminy Architects and Hudon Julien Architects. What a great adventure and Congratulations to the team! Our open house of May 5th was a success thanks to the participation of all! Thank you for your presence. 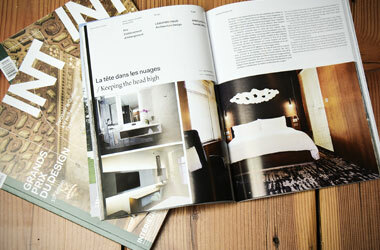 La Ferme hotel, winner of a WAN Awards 2012! LEMAYMICHAUD wins the Wan Awards 2012 - Retail & Leisure Awards in the Hotel and Service Retailers category.